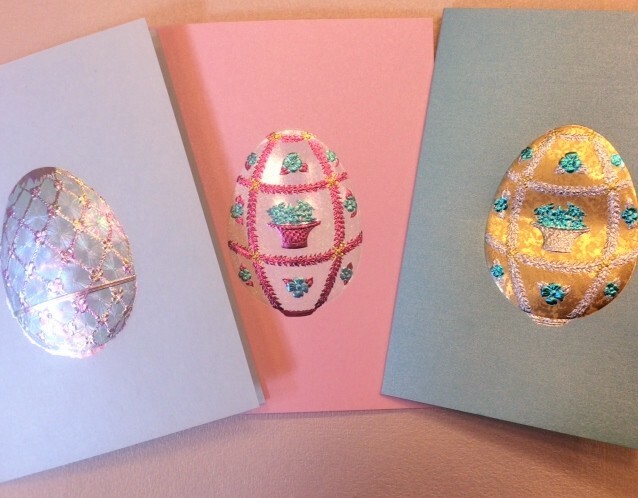 Easter is upon us and for the first time we at Hyegraph Embarcadero Financial District San Francisco are offering Easter Greeting Cards from the very talented Paula Skene of Paula Skene Designs. This line is entitled The gold Line! These Fabergé egg designs look just like the real thing. 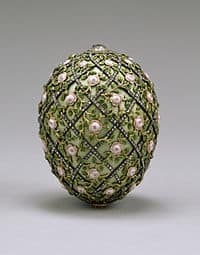 The first Faberge egg was designed for Tsar Alexander III of Russia to give to his wife, Princess Vilhelmine Marie of Denmark on their 20th Wedding Anniversary. The goldsmith’s name was Faberge, therefore later the egg was named after the designer Fabergé. Real Fabergé Egg designed with gold and rose decorations. All of these delightful greeting card designs are available to personalize and send out or give out to family and friends for Easter. The egg symbolizes fertility and rebirth for Christians on Easter is also symbolizes the resurrection of Christ! 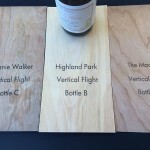 See more Paula Skene Designs on our Paula Skene Category, or shop in our store, Hyegraph Invitations & Calligraphy located at 3 Embarcadero Center, San Francisco, CA 94111. 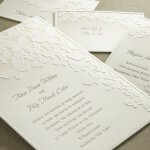 Check out our Calligraphy designs on our Calligraphy Page or Shop Online for Invitations on our Shop ONLINE Site. Please have a Happy Easter!